Did you see the new shampoo brand in pink and bright orange at Wastons, Guardian and CK stores? Yes, it is Essential. Read lots of rave on CozyCot on their fruity and floral fragrances. The pink one is suitable for flat and limp hair, which will give you a light and bouncy feel. Bright Orange is suitable for dry hair, which said to give your untameable hair a smooth and manageable one. To find out more, you can go to their cute and informative website by clicking on the above image. 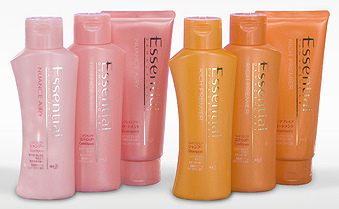 Have you thought of trying Essential? Kao are giving out free samples! What are you waitng for? Grab and try it now! I love freebies! Don’t you like freebies too? To me, freebies = samples. Samples are free, you can try the products without paying any cent. Save my money for buying the regular size products. They are compact enough to bring along for travelling and after-sport shower. It will allow to know whether the products would suit me. If you love freebies/samples like I do, I would like to share with you a wonderful site to get your samples. fr3b.com doesn’t sell samples. You can click on the image link to Fr3b.com. Just sign up for members today, grab your samples and pay for postage. By the way, there are Breathe Right samples up for grab! Get them to try on your snoring partners, friends or family members. My colleague told me it worked for her husband. Try it! Comments Comments Off on I Love fr3b.com! It is almost 2 years since I last made a loan on Kiva.org. The mood just got to me this morning and I made a loan to Sambath Chhet from Cambodia as part of her loan request to buy more rice for rice wine production. I decided to make a slightly bigger loan of US$75 this time round. If you are concerned about not getting your money back, you can choose the organization and project you can loan to. Do some good with your spare money, make a loan! Comments Comments Off on Make A Loan Today! Thanks to Wendy for the heads up that there’s going to be 9 long weekends in 2010! Yes, there will be 9 LONG weekends! *Do note that Deepavali is subjected to change usually. There’s actually 7 long weekends if you work/study 5 days a week and 9 for those pitiful souls who are working on Saturdays. Hollywood Fashion Tape: Featured On CLEO! 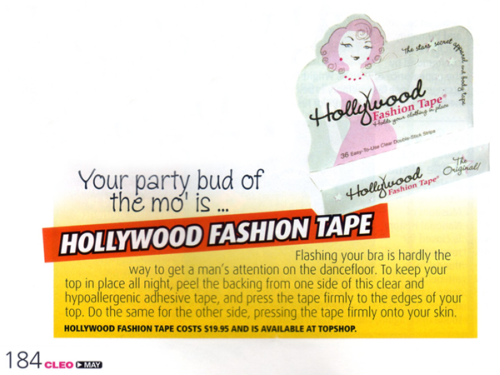 Just as our first batch of in-stocks for the Hollywood Fashion Tape were sold out, Hollywood Fashion Tape was featured in the May 2009 edition of CLEO. I will be continuing to bring in more stocks due to the demand. You can subscribe to our email updates to be informed of any sales or promotions. Don’t worry, I am not a spammer. Here’s a scan of the short article! Comments Comments Off on Hollywood Fashion Tape: Featured On CLEO!